Printfoam is a soft but dense foam material that easily accepts impressions made by pencils, wood styluses, and other tools. The surface is so sensitive that any shape can be pressed into it to create textures. Printfoam with Adhesive Back has the same qualities as Printfoam, but it has a self-adhesive backing for easy mounting onto cardboard. 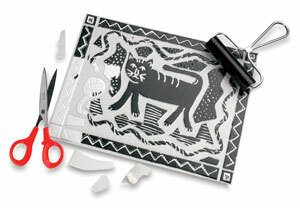 Or, attach torn or cut shapes to the adhesive side! 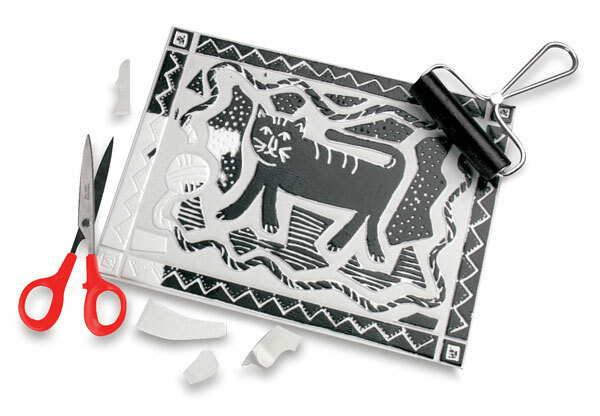 Because sharp or pointed tools are not required to make an impression, Printfoam is excellent for use by pre-school and primary school-age students. Each package contains 12, 9" × 12" (23.9 cm × 30.5 cm) ready-to-use sheets.